Public opinion about aquatic invasive species (AIS) can relate to perceptions of those species’ impact on human livelihood and recreational activity. In particular, opinion shifts as people identify a specific species as “perpetrator” of harm against humans, ecosystems or other animals. These changes in public opinion can have direct bearing on support or opposition to management strategies, especially those involving lethal control, but the predictive relationship is not well understood. Thus, managers are limited in their ability to anticipate public support for or opposition to management activities and engaging stakeholders as part of the management process. 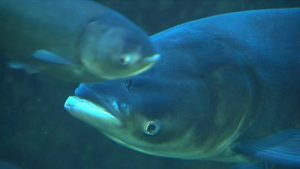 Asian carp have been identified as a group of species with the potential to cause extensive harm in the Great Lakes. At least four Asian carp species are AIS of concern to the Great Lakes Basin. Exploring the human dimensions of AIS management can help identify factors that predict public support for particular policies and programs. This research identifies risk perception and public support for various AIS management strategies. 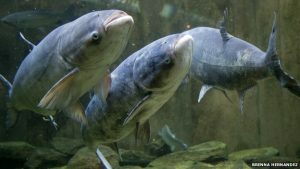 If Asian Carp Reach The Great Lakes, What Do We Do? Gore, M. L., and Liu, R. W. (2017). Exploring the human dimensions of Asian carp management in Michigan. Report prepared for Michigan Department of Natural Resources, Fisheries Division. Axelrod, M., and M. L. Gore. (2016). Michigan Applied Public Policy Brief: Michigan Citizen’s Response to Aquatic Invasive Species Threats. Michigan Applied Public Policy Research. Michigan State University. DOI: 10.13140/RG.2.1.2886.6962.